I was listening to a radio interview the other day. I can’t even remember now who the celebrity was. All I remember is the female announcer asking the female celebrity about her “growing brood” and how she manages to “juggle work and family”. Her answer was she has a lot of help, but that’s not the point. You hear the term ‘juggle’ a whole lot, in relation to women and careers, and frankly, I’m over it. Juggling suggests that it takes some skill to keep all the ‘balls’ in the air – great – but it also implies that you could drop any one (or all) of said balls at anytime. Meaning that you are only marginally in control. Someone could throw you a new ball that you aren’t prepared for and they all come crashing down. I think this metaphor, whenever it started being used, has had its day. It’s part of the rhetoric that is keeping female leaders from reaching their full potential. Language is extremely powerful and if we continue to talk about our lives in terms of juggling all the aspects of it, we’ll continue to believe our lives are about this balancing act and not about living our fullest and most rewarding life – all important elements of it included. I prefer to think of myself as a ringmaster. I manage all the different aspects of my life with (practiced) control. Organised chaos. Like a juggler, the ringmaster has to learn these skills, and it’s not without the help of partners, family and friends. My husband and I are both ringmasters. I’m just changing the metaphor for my life, so I’m not limiting myself to ‘juggling’ imaginary balls. I’m ‘ringmastering’. Yes, it’s a word. I looked it up. The work of a ringmaster; the action of directing or managing something as, or in the manner of, a ringmaster. I’m directing and managing and enjoying the thrill of the circus as I go. Let’s not limit female leaders to the role of a juggler. Women are capable of directing the multiple aspects of their lives with skill, agility, flexibility and flair. If we continue to talk about balancing and juggling we will continue to make women feel like the different aspects of their lives are somehow precarious, uncertain, insecure, and risky. I want women to feel like every part of their full lives is meaningful, rewarding and completely manageable. In the circus of life, let’s not denigrate women to the role of the juggler, let’s recognise and celebrate them in their rightful role of the ringmaster. Leading with Empathy: Why do we Still not Believe? A lot of people when they hear the word “empathy” in a business context still think of it as soft, somehow lacking authority and conviction. That leaders who have empathy for the people they lead aren’t making the difficult decisions or commanding the appropriate respect. We now have conclusive evidence this is not the case. Leaders who project warmth – even before establishing their competence – are more effective than those who lead with their toughness and skill. Why? One reason is trust. Employees feel greater trust with someone who is kind. Jonathan Haidt at New York University Stern School of Business shows in his research that when leaders are self-sacrificing, their employees experience being moved and inspired. As a consequence, the employees feel more loyal and committed and are more likely to go out of their way to be helpful and friendly to other employees. Research on “paying it forward” shows that when you work with people who help you, in turn you will be more likely to help others (and not necessarily just those who helped you). So, with these and many more studies, there is no reason to still be skeptical of empathy as a trait of a great leader. Tony Norton, in his article Why the empathetic leader is the best leader, talks about Simon Sinek in his best-selling book on team-building. I have no doubt that empathy will become further recognised as one of the traits of a truly great leader. Gandhi, Mother Teresa, Martin Luther King, Eleanor Roosevelt, and the list goes on and on. As we recognise true leaders in history, and analyse what makes them great, we’ll come to understand the importance of empathy. In the business world, leaders need to have emotional intelligence and the ability to truly listen and hear what their employees are telling them. True leaders in business will think about how management decisions will affect their employees, they’ll clearly communicate the changes, and will minimise any adverse effects. When employees feel their leaders truly hear them, and understand where they’re coming from, they’ll feel more comfortable and trust that leaders ‘have their back’ and are making the right decisions for the organisation. This leads to more engaged, happier employees who are more productive. A great TED Talk from Simon Sinek. Creating a culture of trust and safety enables people. It allows them to feel safe to make decisions and be creative and fail safely, without fear of retribution. In return, they will give 110 percent, they will be loyal and they will be truly innovative. 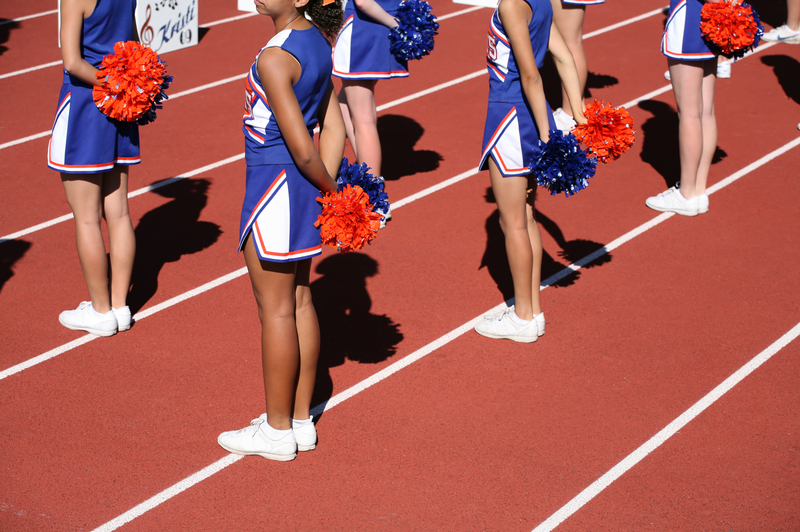 What can women do to be cheerLEADING™ others better? I believe it begins with an awareness of how your behaviour has an affect on others. Your attitude to work and the people around you determines how they feel about working for you. 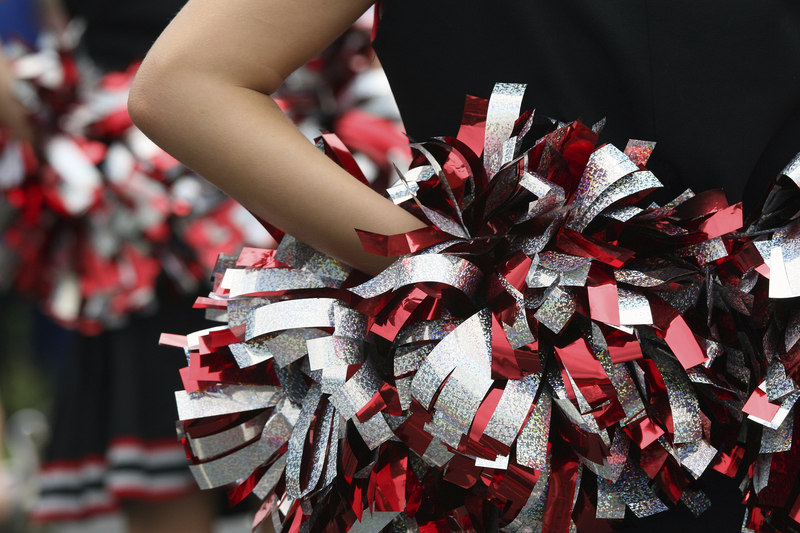 As I said in my last post, cheerLEADING™ is all about positive psychology, encouraging, praising and guiding the people who work in our teams. Taking the time to really lead with integrity and compassion. There is some excellent material around about positive psychology. I’m not a psychologist, but I can see how using positive psychology as a coaching method can really encourage the people around you to be the best they can be. It explains the coaching (or cheerLEADING™) process. Being positive encourages others to be positive. The women in leadership who are doing this well are naturally positive, encouraging, compassionate people. I believe they think about others as they make decisions, they make sure people understand what their role is, and they guide people through change. People need to see the end goal and why they should contribute to reaching that goal. Whether the end goal is one for them personally, or working towards achieving a shared end goal for the company, people like to know why we are trying to achieve it and what will happen when we do achieve it. Just like in the video, people also need to feel you have their best interests at heart. Like the metaphoric safety net, they need to feel you ‘have their back’, they have your support and you are there to help if they fall. People also need to be given the tools to achieve their goals or the company’s goals. Sometimes they need to be shown the steps, sometimes, just by having your support, they can work out the steps themselves. We can all work towards being better at cheerLEADING™ others. I’m calling it cheerLEADING™. I know it sounds a bit cheesy, but bear with me. It means leading with encouragement and by inspiring others to be their best. It means leading with compassion and heart. Inclusion, rather than exclusion, and leading with integrity. Interestingly, it works in much the same way as consumer branding. People buy products from companies like Apple, because of the vision of the brand, the brand attributes, and the personal attributes they feel by association. They also feel valued and ‘heard’ as a customer. They have a positive experience with the product (and/or service) and the brand. There are some amazing examples of cheerLEADING™ in the world. In order to truly inspire people, a leader needs to embody the attributes that other people aspire to. 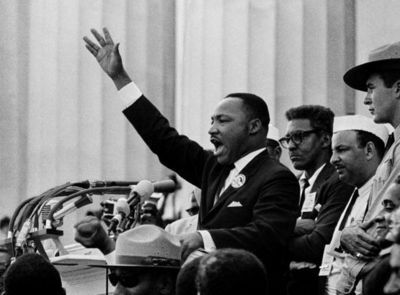 Martin Luther King Jr’s “I have a dream” speech is one of the most rousing, inspiring cheerLEADING™ speeches in world history. 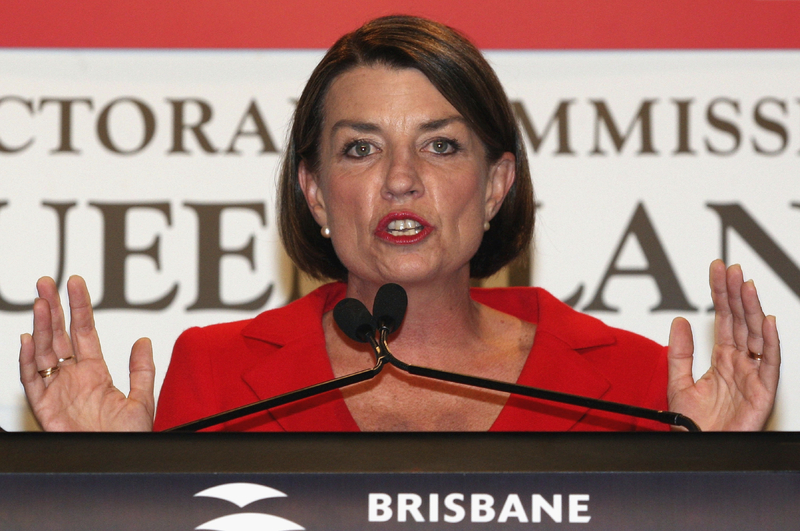 Barrack Obama does it well and Anna Bligh, former Premier of Queensland, showed immense strength of character during the Queensland floods of 2011. She kept people’s spirit’s up, with honesty and integrity (and a lot of communication). Give people a positive, attainable company Vision, which aligns with their personal values and vision for their own life, openly display gratitude and encouragement along the way, and they will be happy to come to work and give 100% to you as their leader. I’ll explore this further in future posts, including the difference between men and women in leadership roles. Copyright © 2019 Jacqui Walford. All rights reserved.